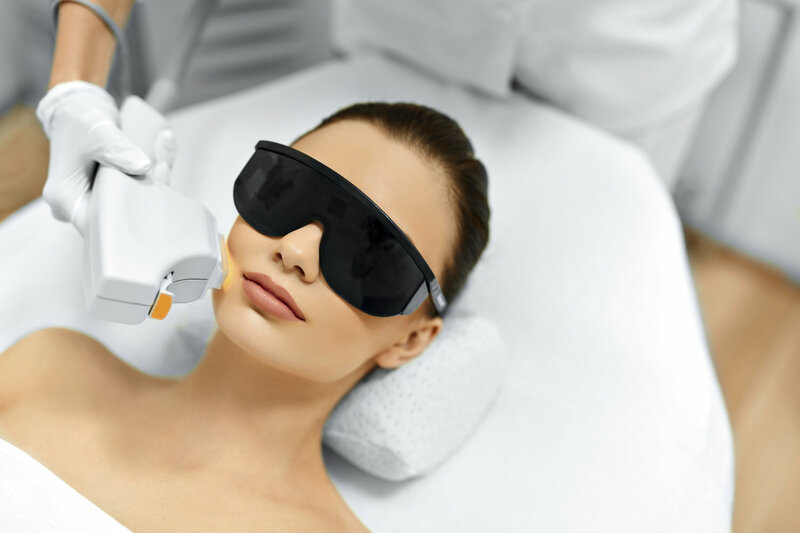 IPL (intense Pulse Light) hair removal refers to the process of hair follicle elimination. For the most effective results, you may need a few sessions annually to keep hair away. But it is shown to be much more effective than waxing, plucking and shaving for both effectiveness and price. Say goodbye to ingrown hairs, nicks and cuts! IPL (Intense Pulse Light) Hair Removal is dramatically more comfortable with minimal to no skin irritation, unlike other procedures like waxing, electrolysis and shaving. With fairly large treatment areas possible with IPL, you’re ensured fast and highly effective treatments. Book yourself in for a treatment on your lunch break, without disrupting the rest of your day! No need to wait for hair to grow out before the treatment, you can be shaving right up to your IPL session. Specifc wavelengths of light energy pass harmlessly through the top layers of skin to transform into heat at the hair follicle, permanently destroying the hair and damaging its ability to grow back. Multiple treatments are required for the best results, due to the various growth cycles of hair. You can notice anywhere up to 20% reduction in the first treatment, and up to 95% reduction within 6-8 treatments. Hair reduction is permanent. Everyones hair will react differently, so specific results are hard to guarantee, however everyone will experience a reduction in both the growth and thickness of the hair. IPL is safe enough for both men and women to use. Each treatment is tailored, by our experienced staff, to your unique skin, hair type and treatment zone. While it’s completely fine to shave right up to your session, please do not tweeze or wax hair for 3 weeks before, as IPL needs the root of the hair to work. Remove makeup/cream from the treatment area, and remember to shave, ideally the night before your treatment. Increased sensitivity to light may affect your treatment, so please disclose any medication use for your own safety and comfort. For best results, please discontinue tanning or photo-sensitive products at least four weeks prior to treatment. Before beginning your treatment at Catwalk, the experienced staff will perform a comprehensive consultation to ensure that you have no contraindications, and that your skin type will be suitable for the treatment. 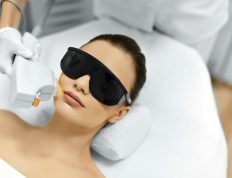 It is normal to experience some redness or warmth, which may be relieved with ice and after laser lotions. Avoid strenuous exercise, deodorants, strongly chlorinated and heated pools, baths, saunas, etc for 12 – 24 hours following the treatment. For best results, protect the treatment area with sunscreen and avoid tanning products. You may experience stubble regrowth a few days after the treatment. This is completely normal. It can take anywhere from 5-14 days after the treatment, for the hair follicle to die and be ejected from the body. After this time, you may notice that the hair that has not fallen out, will begin to grow back through slower and finer than before.